This is a very quick tutorial that will teach you how to draw funky music themed cartoon mascots. You can use it to tile it up to create a nice wallpaper or for book cover. 1. 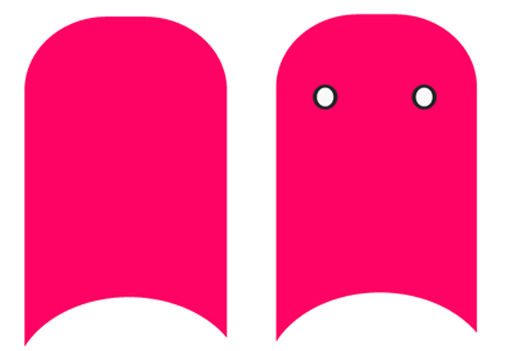 Open up a new file, using the color #FF0364 draw a body shape like this. Select the circle tool and draw two circles to make an eye shape. 2. Select the pen tool, make the Fill color none and the stroke color black. Draw a Smiley face. 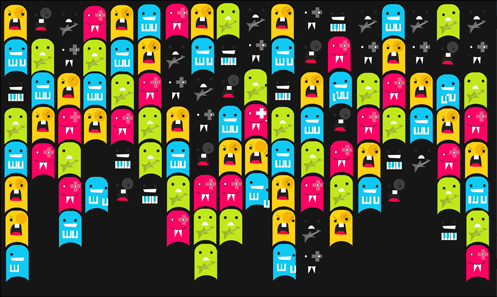 With the fill color white and stroke color none draw a set of fangs. With the color #f25a89 select the rectangle tool and draw a cross shape, with the 2 shapes selected go to Path Finder and click Exclude. 3. Create a new layer for the next character. 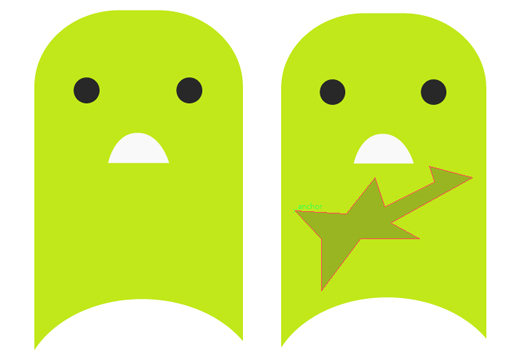 Copy and pasted the body shape from the previous character and make the color #c1e81b. Draw some eyes with the circle tool and a mouth with the Pen tool. 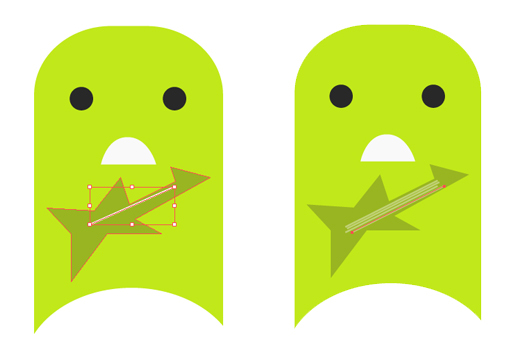 With the again pen tool draw a guitar shape with the color #98b422. 4. With the fill color none and stroke color #b6ca61 draw some guitar strings with the pen tool. 5. Create a new layer for the next character and copy and paste the body, change the color to #0fc8f4. 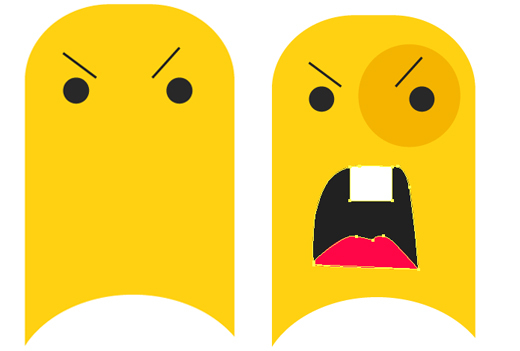 With the circle tool draw some eyes, with the pen tool draw a mouth. 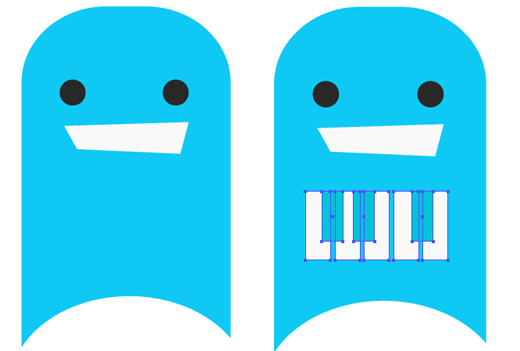 Using the rectangular tool draw some keys using the colors #04c3d8 and #f9faf9. 6. Now to create the singer! Create a new layer, copy and paste the body and make the color #ffd112. Using the color #f5b400 create a circle for the right side of the face. 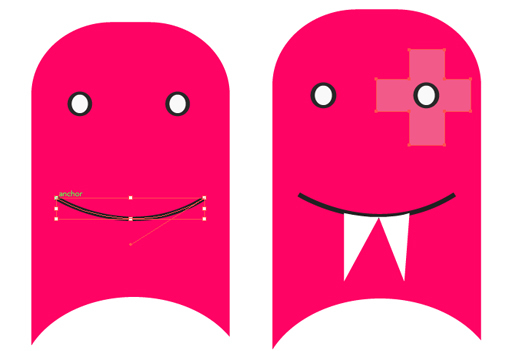 With the circle tool draw some eyes, then draw a mouth shape, tooth, and tongue with the pen tool. With the fill color none and stroke color a dark grey draw some eyebrows. 7. Selecting each character place them into an arrangement like this. 8. Select one of the rows and duplicate the characters. Change each of the body character’s color to #161616 and other colors to a light grey like this. Ainsley Bevis is a Freelance graphic designer who loves to create fun and eye-catching work. She started her own company called Bloom Web Design and is dedicated and motivated to producing great work for her clients. HAy! Do shape body… when i cant do that.. Very Nice Tuts. Easy and Simple.